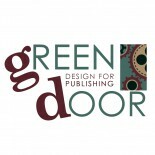 Green Door Designs is a family business specialising in design for publishing at all levels. Our clients range from publishing houses to early-career and self-publishing authors, and we offer a variety of services that encompass all aspects of physical and editorial book design. The company was founded in 2011 by the graphic designer Gracie Carver (Norwich School of Art and Design and Unthank Books) and her husband Dr. Stephen Carver (University of East Anglia and The Literary Consultancy), the writer, editor and academic, bringing together over 25 years of industry experience. We are committed to innovative book design at a practical and reasonable price, and our mission statement is taken from aeronautical engineer R. J. Mitchell (who, like our co-founder and senior designer, hailed from Stoke-on-Trent): ‘It’s not good enough to follow conventional methods of design. It is essential to invent and evolve new methods and new ideas.’ Our aim is to take the pressure off authors by allowing them to simply write, while we attend to everything else, from cover design and book blocking to copy-editing, proofreading, and online promotion. We’re a small, friendly, and versatile team, and we work very closely with our clients, listening to their needs and ideas, and keeping them in the loop throughout the design and/or editorial process. We offer a variety of publication packages that combine different aspects of graphic and textual design, tailored to individual client requirements, and making your book perfect, professional, and visually striking costs less than you’d expect. We consider ourselves to be part of the digital publishing revolution, but we are not vanity publishers, we are not cashing in on a trend, and we do not contract out to inexperienced freelancers. We understand writers because we are writers, and we are and have always been passionate about good literature and original design.